Just over 180 years ago the State of Ohio and the Territory of Michigan prepared for war over a still sparsely settled strip of land and a swampy potential city site. 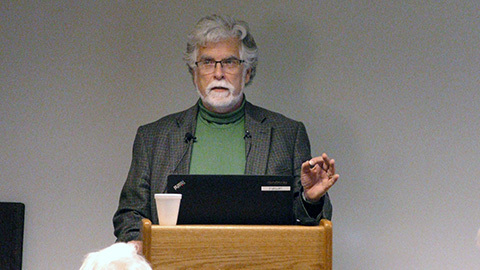 Dr. R. Bruce Way of The University of Toledo took a look at the "Toledo War," its causes, conduct, and conclusion. The presentation was held at The Way Public Library.